Introduction - Foundation Courses for SAT in the SUMMER OF 2019!!! PLAN AHEAD – PLAN SMART!!! Every year we innovate to add new course types to our bouquet of courses for school going students. Last year we opened the JUNIOR SAT COURSE which takes in students as young as those in grade 8 and 9. 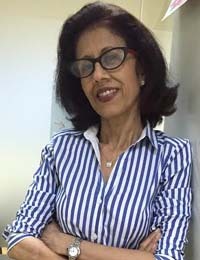 Starting with just 1 student, we have been able to make this a popular option for children from non-English curriculums - such as the French Baccalaureate- as well as for children who are eager to walk the SAT PREP way ahead of their peers so as to derive from the training the full benefits of skill up gradation. This course is available both in private training (available all 12 months of the year) and in group training (available as an intensive 6-month Course available from April 2019 and running through summer and through the year). The course plan ensures a good prep for the PSAT and a mid-level grasp of the SAT, enabling the student to gradually graduate to an extraordinary proficiency level for the SAT way before he/she actually writes it!!! 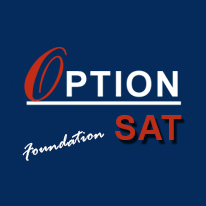 This year we are introducing the INTENSIVE SAT PREP COURSE aimed at students entering grade 10. This is a 12-month long course broken into 2 phases: Phase 1 (6 months) of thorough training in all the aspects Math and English tested on the SAT. This phase seeks to provide the perfect preparatory platform for the 10th graders to step into Phase 2 (6 months) wherein the student will be proficient enough to compete and prepare amidst a regular mixed batch of students of grades 10 and 11. This ‘smart’ prep plan will allow students to write the SAT for the first time at the start of grade 11 and to then move ahead with other courses required to fulfill the application requirements. The primary objective of this course is to allow students to ‘kill’ the test early in grade 11 or latest by mid of grade 11 so that they have ample time to cope with the pressure of school work as well as to prepare timely for other tests- AP, SAT SUBJECT etc. - to augment their profiles for college applications. 10th graders also benefit from this course since they can use the scores to apply for summer programs. We have opened enrollments both to the private course (available all 12 months of the year) and to the group course scheduled to start in April, 2019, so as to maximize output during the Summer of 2019. This platform will afford 10th graders to take a slower but at the same time equally competitive pace of preparation. Our experience with the market in the past 7 years tells us that parents and schools are getting into training for these tests very late - grade 11 or later- and thus defeating the whole purpose of the parents' investment and the child's efforts. The mantra is to start early. Space out the stress of tests -such as the SAT, ACT, AP- and ensure a better performance. Besides, the intensive training in Math and English serves to enhance the child's school performance in real terms. FLOW CHART FOR 10th GRADERS.